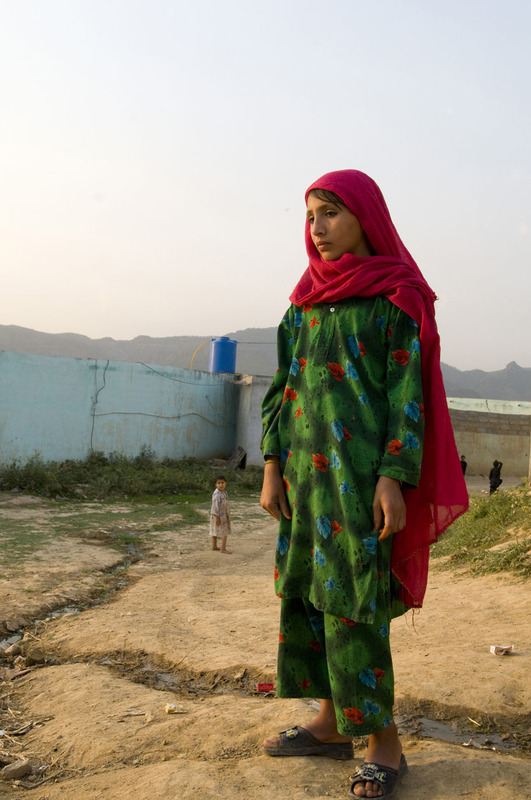 Saida, 8 yrs old, from Maiman Agency, is one of the thousands of undocumented refugees who were forced to leave their homes due to intense fighting between the Taliban and the Pakistan military. She is now living in a housing compound in Islamabad, Pakistan run by refugee, Bir Baba from Bajour who set up these houses for incoming refugees from Bajour, Swat, Buner, and the tribal agency areas. There are now 70 - 80 familes living on this compound. The families prefer to rent out these houses as they provide more privacy for their family, in particular, their women who are often filmed and photographed inside the refugee camps.